to VoyageGamings second modpack to go live! We are a rather small and new community in the modpack scene. We aspire to create fun modpacks that can be played in singleplayer or on our own public servers. We will focus a balance between performance optimization and gameplay in all of our packs. Hex Tech is a 1.12.2 modpack that lets you explore a world generated in hexagons. Play with the latest steampunk tech mods and explore the epic world of Hex Tech on our official server. We use a wide range of different world generation mods that are focused to deliver a unique playing experience. For a modlist head over to the technic page! If you need help with the pack check out our discord! VoyageGaming is a Minecraft/Modded network that is founded by Nimtrod and Leofin. All our servers abide the EULA of Minecraft and are not Pay2Win. If you feel like supporting what we do and help us pay for the servers check out our Store. Hex Tech is a steampunk themed modpack with hexagon map generation. It offers a wide rage of "low tech" mods such as Immersive Engineering or Magneticraft. 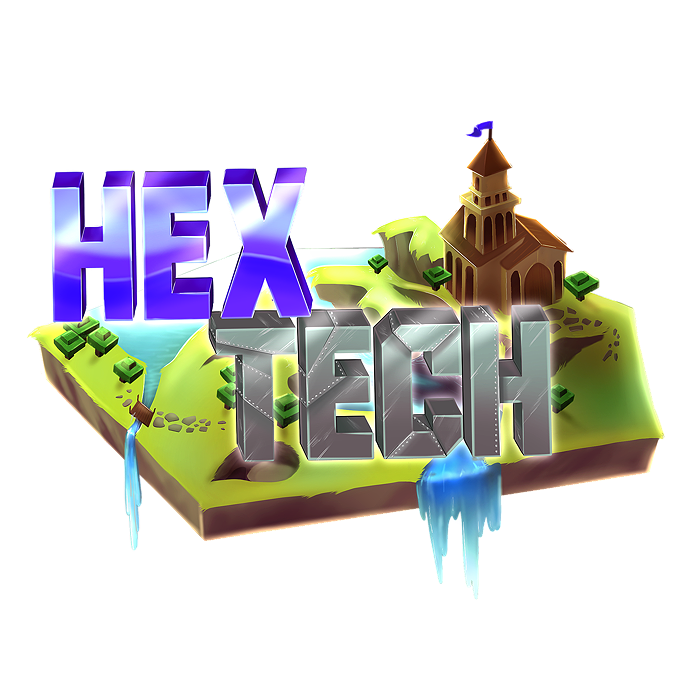 Hex Tech allows players to get creative in their playstyle since a lot of common tech mods aren't installed and players have to think out of the box. The different map generation and mods such as Architecturecraft offer a challenge for the players to build their favorite builds in this pack. If you're game wont launch try to dedicate more RAM to the Technic launcher (Launcher Options -> Java Settings -> Memory). We recommend about 4GB minimum for our modpacks. Although don't dedicate too much RAM to it, else your computer won't have any left. If the maximum is 1GB for you to set you probably run 32-Bit Java. 64-Bit Version of Java 8+ is needed to run our modpacks. The modpack is made to be played on our server. Hence the gameplay in singleplayer might be not as optimized as on the official server. If you want to play in singleplayer we suggest to use the "BoP Hexlands" worldtype. Changed up recipes are in for both singleplayer and multiplayer! Guidance can be found in our discord! Feel free to ask us in our discord if you run into any problems. If we can't help you the guys over in the technic discord might be able to help you aswell. Q: Are there other servers? A: No there are no other server at this point. Q: Is there a server download for Hex Tech? A: No there isn't a server download available at this point. If you want to make on of you own feel free to do so! Q: Why can't I go into the server selection page? A: The Custom Main Menu mod directs you directly to our server. If you don't want that just hit the "Servers" button in the main menu! Q: Am I allowed to create my own server for the modpack? A: Yes as long its non profit and abides the minecraft EULA! Please don't advertise it on our discord! A big shout out to Ellie who drew the beautiful logos we use for our Network/Modpack!